Posted on September 23, 2015 at 4:16 pm. 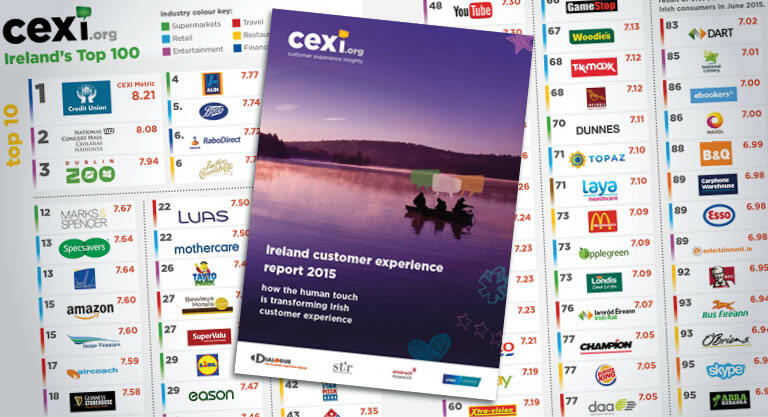 Dialogue’s CX planning unit, CEXi.org, launched Ireland’s first Customer Experience (CX) league table to tremendous applause this week. Ireland has had its say by ranking national brands across six emotional pillars that matter most to Irish Consumers; Personalisation, Integrity, Empathy, Time and Effort, Expectations and Resolution. Dialogue reengineered its creative offering to help accelerate Client growth across these six pillars. Dialogue staff undertook a series of pillar training workshops to help raise Customer Experience excellence with strategic and tactical communication solutions. Getting customers to sell on your companies behalf is the ultimate marketing goal. Unfortunately today’s consumers don’t trust marketing messages as they once used to. Dialogue helps clients rebalance their acquisition budgets in favour of retention efforts. Not only do client’s customers stay longer but the retention work is fast becoming the most effective form of acquisition. By giving them amazing customer experiences across the six pillars they become an invisible sales force for your brand. Dialogue develops unique amplifiers to encourage delighted customers to share these experiences with friends and colleagues.